All songs by Donovan P. Leitch, except 04 by Mick Softley, 06 by Buffy Sainte-Marie, 07 by Bert Jansch, 10 by Paul Bernath, 13 by Shawn Phillips and 14 by Jane Bowers. 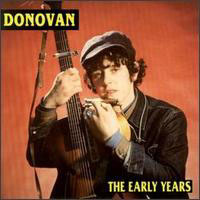 · In 1993, Dojo Records released another compilation of Donovan's Pye recordings named The Early Years. · The compilation was released in the USA by Castle in October 1994. · This CD is not on sale anymore.